Crashes are down 16%. Crashes that cause injuries decreased 63%. 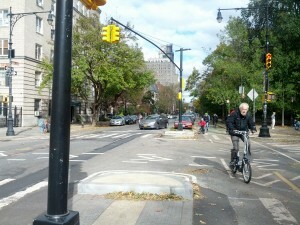 Injuries to all street users decreased 21%. No reported pedestrian injuries in the after period. 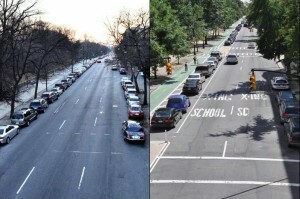 *Before-and-after results and project outcomes are the result of monitoring and evaluation conducted by NYC DOT. 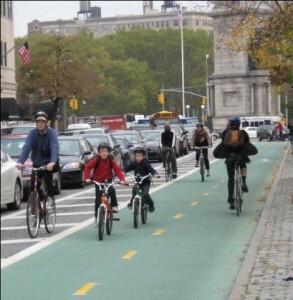 A series of one-day bicycle counts, vehicle counts, travel time runs, and radar studies were performed in 2009 and 2010. Accident data is from June 1 - December 31 in 2007, 2008, and 2009, and compared to the same period in 2010.